Acquiring a mature dog whether fully trained, partly trained or green is becoming more and more difficult because demand for this type of dog is World Wide & high which has an impact on rising costs. For those of us that are limited in our budget we need to look at what other options are available to us to provide quality dogs to meet our needs. In short this means looking at those animals that are currently available for a lower price tag and are less commercially valuable. As purchasing a dog of low quality (either health or ability) is not a viable option this really only leaves us with one choice. Finding, selecting & training the younger dog. This class explores the option of starting with the younger dog including how to identify the right dog via a tried and tested selection process used by UK and other European police & Border Control units, how to develop the young dog to cope with environmental and socially challenging situations based on an understanding of the dogs mental & physical development and how to develop skills that lead on to the basis for advanced training. The Royal Canadian Mounted Police has developed a unique method of using canines to combat the Fentanyl Crisis. This presentation will cover the basics of Fentanyl, explain our method for training canines to detect it, and outline best practices for its safe handling. Patrol Dog training the Dutch way, from puppy until certified Patrol Dog, Dutch Police/KNPV. Patrol dog class will present the process of selecting and raising a puppy for the KNPV. After certification in the KNPV the testing by the Dutch Police for the use as future patrol police dogs. Searching/Detection Dog training the Dutch way, from puppy until certified Searching (tracking)/narcotic/explosive) Dog. Searching/Detection class will present the process of selecting and raising a puppy for narcotics, explosives, or tracking. Class will cover training of puppies through fully-certified K9’s. This 2-hour training seminar will focus on police canines in correctional environments, with an emphasis on CDS introduction and trafficking trends. These trends covered will include detecting and interdicting contraband on Staff, visitors, volunteers, and support personnel, cell phone detection canines, prevalence of buprenorphine (brand name Suboxone, very widespread in the mid-Atlantic correctional systems), K-2 and Spice, and the value of passive alert dogs and PEOPLE scans. The course will also cover the development of relationships and use of the rescue dog organizations, and the use of unconventional breeds in detector work (English springier spaniels, Beagles, Etc.). In this class intended for the dog handler / trainer, odor will be described on a molecular level as it relates to the detection of a target. This will include the basics of odor development from an odor source into an odor plume that is detectable by the dog. We will describe how odor emanates from a target object and how the dog might perceive this odor. We will then discuss the variety of factors that affect how the dog experiences the target odor, such as target mass versus odor quantity, differences between manufacturers, changes with time and environmental conditions, challenges related to wrapping and burial. Factors affecting odor availability and methods to prevent contamination of training materials will also be covered. This seminar will be appropriate for handlers of any type of detection dog, including human scent tracking dogs. Explosive detection canines are deployed to battle threats at home and abroad. They are utilized in the detection of explosive devices that threaten civilian and military personnel lives, as well as aviation and transportation security, such as landmines and improvised explosive devices (IEDs). The type of explosive materials most commonly encountered in the past included nitro-containing high explosives such as TNT and C4, or low explosives, such as smokeless and black powders. As availability and ease of access to such explosives diminished, terrorists abroad began relying on HMEs (homemade explosives), assembled from easily attainable and commercially available materials. The ease of obtaining such commercial products for explosives was accentuated by the growth of the Internet, which brought information of HMEs home for use by domestic terrorists. Also, after the events of 9/11, security technology was enhanced, which pushed terrorist to shift to HMEs and novel explosives that were not readily identifiable. Use of HMEs is expected to continue to increase as such extremist groups continue evolving new methods improving predictability, long-term stability, and streamlined manufacturing of HMEs involving cheap, more easily accessible materials and less sophisticated equipment. Explosives detection capabilities, both canine and instrumental field detectors, however, have been slow to evolve with the changing threat. Canine training protocols are currently being put in place to address detection of these types of explosives, although HMEs present a number of new detection concerns that should be considered when initiating these new protocols. Issues associated with canine detection of HMEs will be discussed. The law enforcement community has been under extreme scrutiny the past several years and so has the marine mammal training profession for even longer. The movie Blackfish has changed the marine mammal animal training profession forever. And the working dog profession is not immune from this type of scrutiny. As a K9 handler in today’s climate it is imperative the handler understands the basic principles of animal training. This understanding will assist in avoiding court challenges by defense experts, poor public perceptions on how our K9s are treated and more importantly improve your K9’s performance. Scott will review basics of animal learning and share his concerns regarding how we can collectively best avoid the next “Blackfish effect”. This course is designed to teach the basics of integrating combat or tactical support teams into K9 Tracking. The five-man team concept is the core of the curriculum with the crux of the training revolving around the K9 Proximity Alert and overall team responsibility as it relates to the tracking mission. Jeff Schettler’s training is used for military and police units throughout the United States, Western Europe, Mexico, and South America. 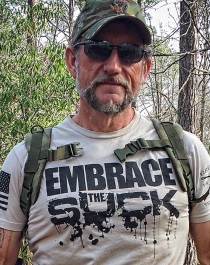 Jeff’s tactical tracking course has been California POST certified since 1998 and is currently used by the US Army, Marine Corps, and Air Force. Jeff’s Book Tactical Tracker Teams is the basis for this course. Jeff’s class on trailing and tracking is a great primer in to the realm of canine scent discrimination. His course is designed for urban, hard surface tracking work where the ability of the dog to find one human amongst many is paramount. 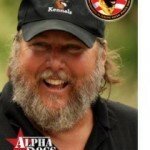 Jeff’s trailing/ tracking courses are well known for their excellence and his dogs find ratios are extremely high. 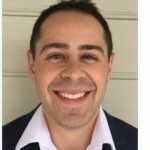 Jeff’s methodology is currently used by police and military units around the world. His books K9 Trailing; The Straightest Path and The Tao of Trailing will be the basis for this course. High Drive K-9 has created an honest, explosive, disciplined class dealing solely with K-9 engagement issues, relating to K-9 Bite Building and Problem-Solving strategies dealing with building search deployments. Providing the essential techniques and strategies to properly prepare K-9 teams for building deployments is what this is all about. This course will help each handler to gain a better understanding of how to build, strengthen, and prepare K-9 Teams for real life combat. During this course, you will be provided with advanced training techniques, exercises and a tactical mental approach to succeed under the extreme stress you will face during a K-9 building search engagement. 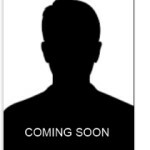 You will be instructed with a positive, open minded approach, providing you with all the necessary tools for success. This course dives into topics such as: Canine Aggression, Muzzles, Hidden Sleeves, Ground Fighting, Combat Training, True Scenario Training and much more. This course will build and strengthen K-9 teams, preparing and providing them with the awareness and skills to deploy with skilled and dependable during any and all building deployments. “Officer Down”- Two words that evoke discomfort and confusion in any officer’s mind. This is becoming a Trend in today’s world of Policing. A complex scenario has turned into an extreme challenge for the K-9 Handler and back-up officers involved. 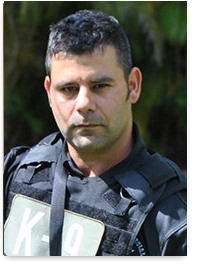 How will the deployed K-9 team handle this scene that is rapidly unfolding in front of them? This course is devised to train, educate and support both K-9 handlers and all other officers in your agency. This course will cover real life practical applications and scenarios, providing you with a better understanding of the difficulties involved in a K-9 handler down situation. In addition, this course will provide you with numerous options and strategies so that your agency can put a concrete plan in place if this were to occur in your agency. By the end of this course, handlers and officers will be more secure and prepared in the event an “Officer Down” issues arise. This class is ideal for the new handler. The class will cover how animals learn and how we apply that to K9 training. When it comes to training it is easy to fall into a rut and start to simply go through the motions, especially in monthly maintenance training. In this class we will review past events throughout history in the United States and around the world and how law enforcement responded to the incidents. 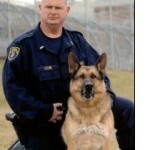 We will then discuss the fundamentals of K9 training, to include, your monthly in-service training. In law enforcement we need to ask ourselves are we training for what we may face or setting up our training in response to something that has already happened? This goal of the class is for you to be able to analyze and adapt to meet the threat of the ever-changing world we live in. 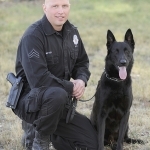 Cameron Ford and Jeff Meyer will discuss the common problems handlers deal with in detection dogs as well as how a small and simple change in their approach (based on science) will lessen or eliminate those issues, as well as creating reliability under the scrutiny of law. • The drives in the dog; prey, hunt, play, fight, retrieve, rank and survival. • Power Bite? Is Dog committed? • What type of force and approach does he have. Class Description: This class will take handlers deeper into why detection dogs do what they do. 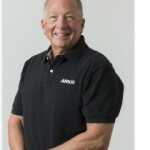 Ken will delve into what “drives” are and how they are utilized. The term obedient to odor refers to the dog understanding that odor drives the reward, not the handler. This fast pace class will cover everything from odor imprinting, to reward, to search patterns and the why’s behind each of these components of detection dog training. Not only is this class highly entertaining, but most of all, it is highly informative. Nationally recognized for prosecuting drug trafficking cases, Ted Daus tells it like it is. What a perfect opportunity for K-9 handlers to learn straight from the prosecutor what he needs to hear from you on the stand when presenting your drug cases to the jury. Ted navigates his way through the latest courtroom decision about police detection dogs and takes us along for the wild and sometimes crazy ride. Ted’s abilities as a communicator will keep you on the edge of your seat as he opens everyone’s eyes to what’s been happening in the courtroom and what the future looks like for drug detection K-9 teams across America. 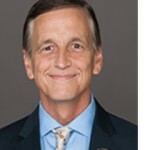 Paul completed a 2yr Advanced EDD study at VWK9`s Academy, in which 100+ Police, Military and Private Sector EDD dog teams were tested on an operational based training and Intel gathering exercise and the results will surprise you & reinforce why this speaker session is a must to attend. Correct operational based training and use of task intelligence is the number one factor for EDD team success during operational Tasks. Understanding the difference between Traditional Explosive Detection Dogs, People Screening Dogs and Mass Pedestrian Screening. The threat of a body-worn explosive attack is current & real. Understanding the types of explosive detection dogs available and their correct use and deployment is key to detection success. This informative presentation takes a detailed look at the various types of explosive k9 detection & industry advancements, showcasing the 18 month training process behind Vapor Wake® detection canines. 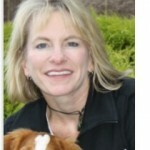 Dr. Furton will cover the history, state of the art and projections for advances in the science of canine olfaction relating to drugs, explosives and human scent and the standardization efforts of the past 15 years starting with SWGDOG, evolving to OSAC Dogs & Sensors, National Standards from the Academy Standards Board and ultimately accreditation of certifying organizations. For those that have a misconception as to how beneficial K9’s can be in a high-risk patrol operation or to a SWAT team this class is for you. We encourage all patrol officers, military, SWAT and supervisors to attend this class. You will learn how to utilize your dog to find the suspect quicker, yet safer, while maintaining your tactical advantage and officer safety. 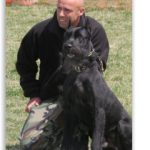 We will discuss what to look for during your selection of a Tactical Patrol dog or SWAT dog as well as the handler. 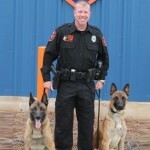 Learn how a properly trained patrol dog and the handler can be utilized during a in a high-risk patrol deployment or SWAT operation when it comes to tracking, barricaded suspects, approaches, entries, blind corners, room clearing, hallways, stairs, attics, crawl spaces, vehicle assaults, arrest techniques and even in a gas environment. Over the year’s handlers have improved their training regimen, increase their monthly maintenance training, documentation, and have improved their report writing skills. The one area that is still severely absent is their preparation for a deposition or testifying in a civil courtroom when it comes to answering the basic questions of your job. Know the hard questions any good plaintiff’s attorney will ask you to be prepared to give the correct answer because you are a new question. Far too often a supervisor with no K-9 experience is thrusted to the helm of a unit. This can be a daunting task. There are many dynamics that go with such a specialized unit that is strafed with liability. You are not only in charge of the day to day activities of men and women known for their type A personalities, but their K-9s as well. 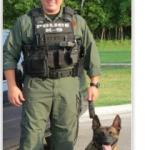 This class will specifically address the leading of a K-9 unit with no working K-9 experience. 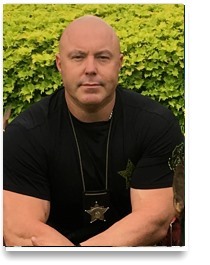 Sergeant Aaron Peterman will give guidance and leadership advice on this dilemma, drawing from on his own unit’s past practices from having been in this predicament. You will leave with strategies which foster success, garner respect, and reduce liability. This intense 4 Hour course is designed for Patrol and Narcotic officers, veterans and newcomers alike. It focuses on the relationship between traffic enforcement and criminal enforcement. Specific techniques are covered to assist officers in detecting criminal activity. In car videos from adjudicated case are used in the presentation. Students will receive extensive instruction in the detection of criminal indicators, roadside interviews and vehicle searches. Students may also participate in mock roadside interviews in an effort to detect deception. This intense 4 Hour course is designed for Patrol and Narcotic officers, veterans and newcomers alike. It focuses on after-market hidden compartments in vehicles that Drug Trafficking Organizations use to avoid detection by Law Enforcement. Specific techniques are covered to assist officers in locating, identifying and accessing after-market hidden compartments. Videos and photos from adjudicated case are used in the presentation. Students will receive extensive instruction in the detection of after-market hidden compartments and vehicle searches. The importance of the ability to properly select a patrol dog coupled with sound decoying fundamentals cannot be overstated. 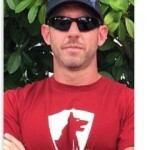 Mike will walk you through his 5 block patrol dog selection test, followed by discussing the importance of the art of decoying and the transitioning of drives to maximize a dogs stress threshold and their ability to win against the man. Transitioning from equipment to the real world, as well as troubleshooting will also be covered. Training the police K9 utilizing operant conditioning techniques and relationship building. 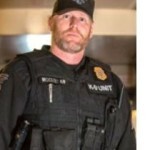 Mike will discuss the OC “process” he uses to train police K9s in all aspects of tactical OB, tracking, and bite work for the real world. 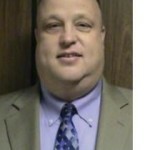 He will also cover troubleshooting training problems and thinking your way through them using the A + B = C method. Stay prepared for tomorrow’s threat. With terrorist bombing attacks happening worldwide at an increasing frequency, we believe it’s important for you to understand the current events and trends in explosives. This presentation will give you the opportunity to walk through multiple realistic explosive laboratories based on recent bombings worldwide. This interactive presentation will engage all your senses. Take the opportunity to walk the terrain and experience the modern explosives lab. You’ll leave: With a deeper understanding of how explosives concepts translate into the current terrorist explosive lab. Better prepared to correctly identify an explosives lab and its inherent danger; and more knowledgeable in keeping you and your K9 partner safe in an explosives lab. An examination of the underlying causes and obstacles of effective and reliable aggression control leading into a detailed plan of how to train this complex skill. A clear step by step outline how to teach and train effective and reliable real world aggression control which is essential for any K9. The skills taught here make K9s more functional in all deployment situations and allow for usage of dogs in even the most complex tactical situations. Muzzle training can and should be an integral part of K9 training. Unfortunately, it is underused in many agencies and often trained in a manner that makes dogs not function well with a muzzle. This class lays out a program that builds muzzle work into all aspects of K9 training, not just to make the dog function more effectively while wearing the muzzle but to enhance all aspects of functional apprehension training. The majority of single purpose detection dogs have different nutritional needs compared to dual purpose dogs. Find out how to maximize the potential of these detection only dogs through targeted nutrition and informed management. This presentation will focus on the latest technologies to maximize olfaction performance and health through diet and management schemes. The majority of dual purpose dogs have different nutritional needs and training routines compared to detection only dogs. Find out how to harness their full potential through targeted nutrition and informed management. Focus of the presentation will be on scientific technologies and proper diet selection to support joint health, manage environmental challenges, and preserve the health status of your canine partner. What happens in the dog’s nose and brain to allow the dog to detect and identify odor and locate an odor source? A basic understanding of the structure and function of the dog’s olfactory system and factors affecting odor detection can help K9 handlers partner more effectively with their detection dogs. This class covers what happens in the dog to allow odorant molecules to be interpreted as scent and also addresses the diseases, medications and other factors that can interfere with the dog’s ability to detect, localize and indicate odor. This class will provide an overview of the significant breed-related disease problems to which PWD breeds are prone. Knowledge of these breed-related disorders is important for K9 handlers and trainers to allow them to recognize the signs of these health problems when they occur so that treatment can be implemented early in the course of disease. Additionally, an awareness of the potential health problems associated with a particular breed is an important element of the K9 selection process. The class will cover the major health issues of concern in PWD breeds including lumbosacral stenosis, hip dysplasia, degenerative myelopathy and laryngeal paralysis and will conclude with a detailed look at “bloat” – what is “bloat”, what to watch for, how to respond when it happens and how to prevent it based on the most current research and focused on practical information that K9 professionals can use in keeping working dogs safe. A basic understanding of K9 anatomy as it relates to dog gear and K9 handling practices can ensure that you get the optimal result from your equipment and handling techniques while minimizing the risk of injury to your dog. This class will cover applied aspects of K9 anatomy such as what body structures are impacted by various types of harnesses and collars, what collar placement is most effective for choke versus prong collars, what happens when you “choke out” a dog or use a gag stick, muzzling and other practical aspects of K9 anatomy pertinent to working dog management. This course is about the utilization of Canines from initial training to actual fieldwork. The initial question posed, “Can any Canine work in a Correctional setting?” We will discuss how we utilize our teams and the roll that they play in the corrections environment. 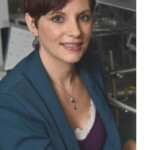 This two-hour course will reveal a new way of observing and deconstructing the chain of behaviors demonstrated during a single “detection” exercise. Utilizing this information will accurately identify the area(s) needing additional training. This gives the trainer/handler a guide for selecting specific training exercises targeting those areas needing improvement. This system is also of tremendous value when training and evaluating new canine detection teams by earlier identification of weak areas or areas desiring improvement. This course has numerous video clips of various detection dogs (explosives, narcotics, cadaver and other) to assist and facilitate learning. 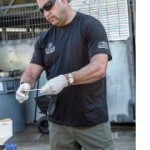 By attending the NePoPo®class, you will be armed with tools and techniques on how to connect with your K9 partner on a deeper level, install a desire and passion in the animal who will execute learned behaviors under high distractions in the real world. 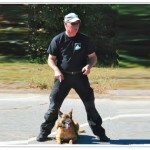 The techniques learned in this class can be applied to any phase of dog training as well as any Police K9 application. We’ll discuss how to effectively integrate Air Support during K9 and other tactical based missions. We’ll talk about when Air Support should be requested, what information they’ll need while en route, what to expect once they are on scene, and how all three components of suspect apprehension become exponentially more effective when they are working together with the common goals of officer safety and suspect apprehension at the foresight. You’ll get a “view” from the TFO’s perspective into Air Support’s abilities and limitations in assisting K9, Patrol and other department entities in resolving high-risk calls for service. Finally, we’ll talk about setting up perimeters, suspect psychology, and current suspect trends. In addition to stuffing a few more tools in every handler’s tool box, this is a great class for handlers of agencies who utilize Air Support from other jurisdictions, for supervisors who are responsible for requesting and managing resources during dynamic or high-risk calls for service, and for anyone who is required to provide in-service training on these topics to their department’s officers. Whether you’re a K9 handler or supervising a canine unit, the risk for an unintentional canine bite is an ever-present risk. 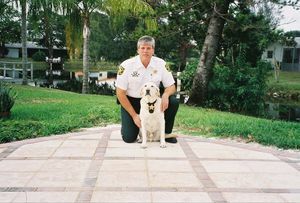 An unintentional canine bite, causing injury could lead to civil litigation, handler prosecution or disbanding of a department’s canine unit. The potential for an unintentional K9 bite can be reduced through proper dog selection, training and a comprehensive canine policy. Being prepared for the inevitable and understanding how to handle an unintentional bite will help mitigate the liability to your canine program. Through several case studies this course will present how to investigate and properly document an unintentional bite incident, in addition to conducting a supervisory and administrative review. After the review process is completed recommended corrective actions will be presented including training and discipline. Properly and promptly handling an unintentional bite incident will help reduce your department’s civil liability exposure and ensure the longevity of your canine unit. The class is going to be an interactive discussion on report writing, policies and procedures, training issues, use of force issues, supervisor liability, contemporary issues facing law enforcement, and how to defend against the inevitable lawsuit. Testifying in front of the courts can be intimidating and stressful, especially if you’re not prepared. You know how hard you’ve trained with your dog and you’ve done everything right for every case. But are you fully prepared to testify about your training and paint the picture of reliability for the courts? 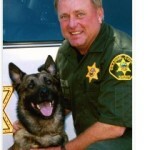 Andrew Weiman is an expert witness with decades of police dog handling and training experience. Join Andrew’s class and listen as he presents the cornerstones of proper canine recordkeeping that help prove your dog’s reliability. Andrew makes clear sense of both the purpose and the content of canine records. Defense attorneys look to discredit you and the dog by testing your basic understanding of canine learning and canine training. Come listen to the advice of an expert and take the power of knowledge as a shield of armor for every drug dog case you’re a part of. There’re many angles of attack coming against you in the courtroom by defense attorneys, don’t go in unprepared and unaware. 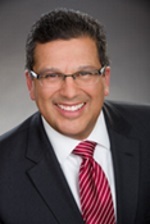 Let Andrew Weiman’s decades of experience take your courtroom battle to a higher level. 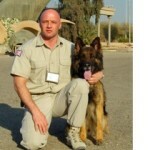 In this class you will learn our unique system of Muzzle Fighting developed by Israeli Special Tactics K9. Muzzle fighting is the highest level of Bite Work, which is what is used in Special Operation K9’s in Israel to create K9’s who are ready at any given moment. Anyone can take a bite, only a few know how to read the dog’s language and respond appropriately to enhance the K9’s abilities. Reading the dog’s behavior while decoying can make or break a dog. Knowing how dogs communicate will make you a better detection team and knowing the dog’s Language will prevent unnecessary handlers bites and reduce liability. The benefits of muzzle fighting cannot be skipped, as it is essential for your K9’s every- day job. During this class you will learn how to properly engage in muzzle training to make your dog a stronger, better dog. At the end of this class you will leave knowing how to properly teach your dog how to muzzle fight like a PRO. We encourage Military, S.W.A.T., and patrol handlers, supervisors and Decoys to attend this class, as well as everyone who wants to enhance their knowledge on the latest training techniques for their K9.